“I don’t know why we still do it this way,” Astronaut Mae Lewis said. “What do you mean?” Roy said. Roy chuckled and flipped switches and pressed buttons when they illuminated in turn as the checklist proceeded. Mae did have a point. The government had returned to space in earnest twenty years ago spurred by commercial companies moving into the final frontier. While they had dove in with gusto, government sponsored technology and processes had remained woefully behind the curve. Most commercial ventures were either fully automated craft piloted remotely or self contained manned vessels sporting the latest in digital technology and AI systems which made the latest government spacecraft look like relics of a bygone era. The government craft might be behind the curve but as Mae said, it was job security. He didn’t want to give up his cushy government pension and benefits just to fly a better grade of spacecraft. “Nav plot upload complete,” Mae said, interrupting his reverie. Roy and Mae began a well choreographed dance of button pushing which turned the spacecraft onto the path defined by the uploaded data. Directional jets fired turning the craft until it oriented on the Moon, growing large in their view port. “Roy, I have something on proximity radar,” Mae said. Twenty seconds dragged by like twenty minutes as Daedalus raced toward the moon and the mysterious radar image. Roy cursed quietly and tuned the Deadalus’ radio to the international hailing frequency. Silence answered his calls. As the unidentified vessel grew larger in the view port Roy heard Mae gasp. He looked at her in annoyance and saw that the normally unflappable woman’s eyes were wide. She raised a hand and pointed out the view port. Roy shifted attention from the radio and looked where Mae’s shaking finger indicated. What he saw made no sense. An aircraft, designed for flight within Earth’s atmosphere, floated serenely in space between them and the Moon. It was 100 feet from nose to tail with a wingspan nearly as wide. The wings and two jet engines would be useless in space; Roy had no idea how a craft of this type could have gotten this far from Earth. Silence answered his query. Roy tried raising Mission Control again. Each radio call was met with silence. Something was interfering with communications. “What do we do?” Mae said. Both astronauts’ hands flew across their consoles, programming the course alteration. Mae indicated her readiness and Roy triggered the sequence; nothing happened. The derelict aircraft loomed large before the spacecraft and Roy frantically pressed more switches and again attempted to trigger the course change. Again nothing happened. “We’re going to crash,” Mae’s voice was a terrified shriek. Roy could read the aircraft’s number and clearly see through the windows to the dim shapes within. Even if he could trigger the course change, it was now too late to avoid impact. He reached across and took his companion’s hand, preparing to die. Daedalus jerked to a halt, throwing both astronauts violently against their restraints. The instrument panel went dark and the internal lights blinked out. Roy saw movement to the left through the window of their ship. A patch of space which had seemed empty wavered like water disturbed by a stone. As he watched an enormous ship of a design he had never seen wavered into view. No nation on Earth had designed this ship. It was enormous beyond anything ever built and symbols of an alien alphabet covered the side of the vessel. 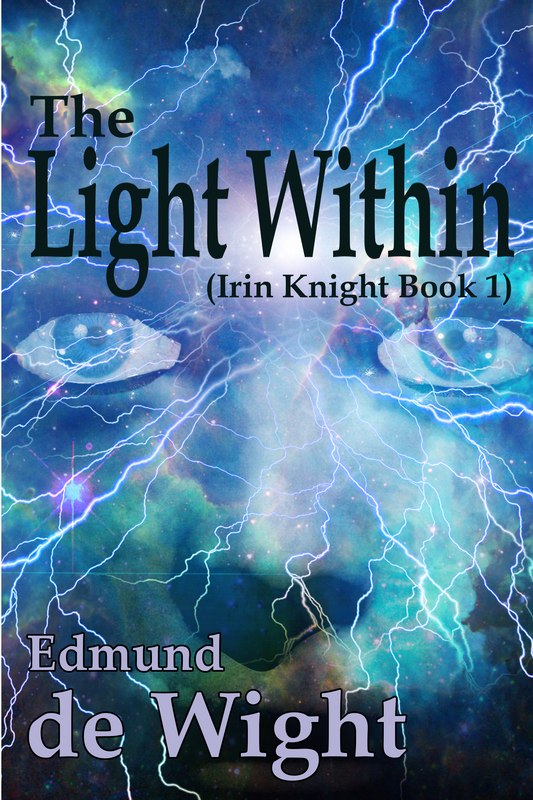 A brilliant red beam of light erupted from the side of the ship enveloping both the Dadealus and the aircraft. Both vehicles began to move toward the larger ship. Roy and Mae held each other in fear as the side of the vessel opened revealing a cavernous bay filled with aircraft and spacecraft, both those he recognized from Earth and utterly alien designs. Hope died as the gargantuan doors of the craft closed behind them, plunging them into utter darkness. Support quality horror and weird fiction. Do you like what you’ve read here? Consider leaving a tip to support my efforts. Even a dollar helps keep this site alive. Just click on the tip jar image. This entry was posted on August 29, 2018, 8:00 am and is filed under FREE Fiction. You can follow any responses to this entry through RSS 2.0. Both comments and pings are currently closed.